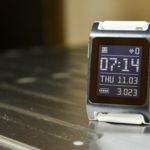 One of the simpler watchfaces featured in this collection is a new favorite called Time Text Bold. The high contrast between the thick text and the black background makes it easy to read the time at a glance. 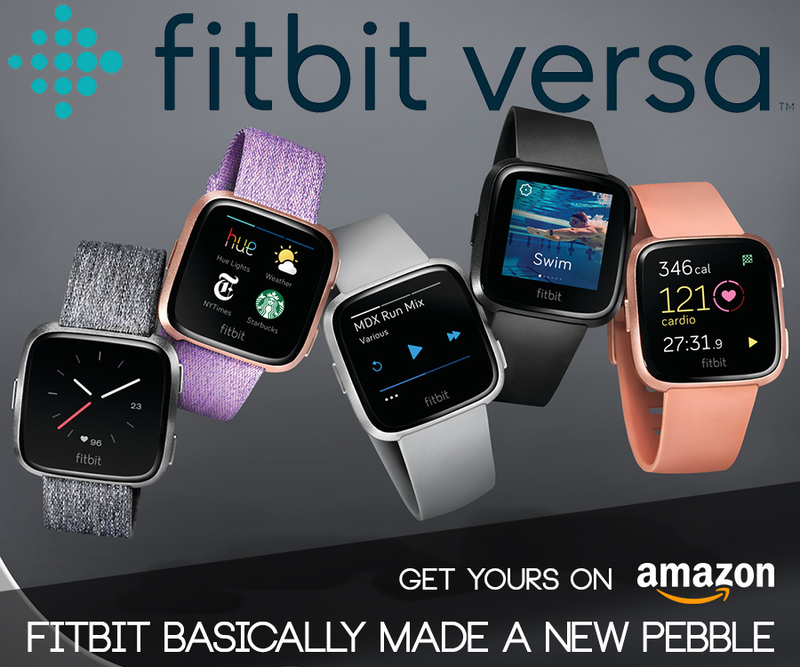 The developer added a nice subtle touch at the top of the watchface with a slim progress bar. 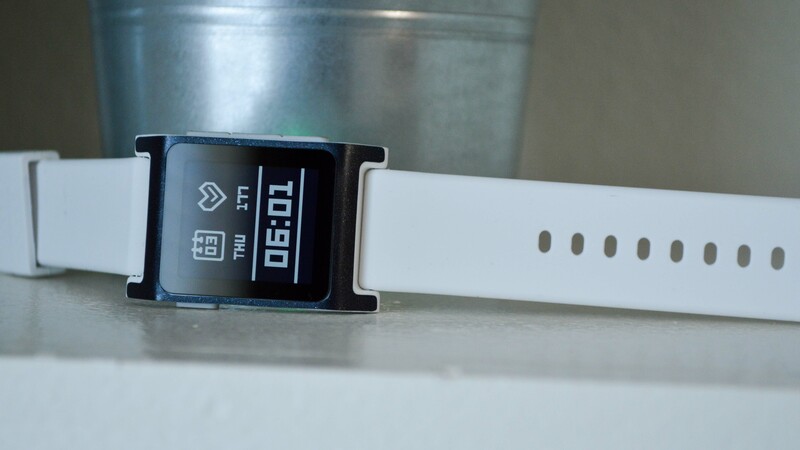 The bar can be set to display battery life or current step goal progress for the day. 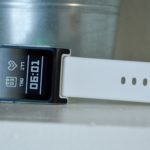 This highly customizable watchface is perfect for anyone that obsesses over their health info and wants to check it several times throughout the day. 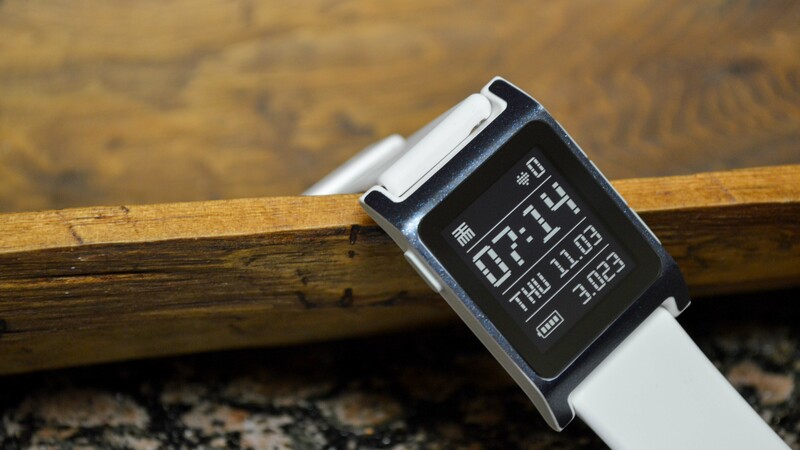 Users can customize every line of the watchface to display whatever information is most important. The histogram for your activity is also a nice touch! 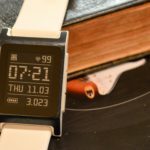 I fell in love with the TTMM watchfaces as soon as I found them. 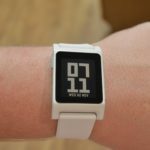 Their design and layout definitely complement the chunky design of the Pebble 2 and they work perfectly with a black and white display. 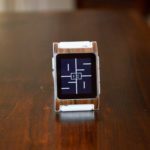 TTMM88 is a premium watchface that users can purchase after a one day trial for $0.99. 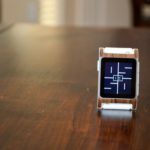 I suggest you spend the $4.99 and you’ll get access to the entire TTMM suite of watchfaces – they’re all pretty incredible! 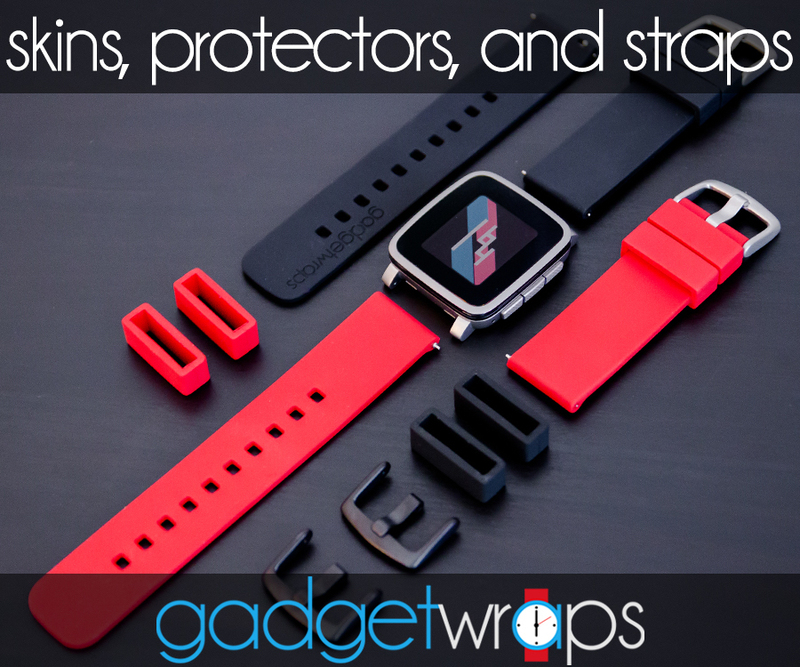 We’ve featured essential before here on the site – and for good reason! 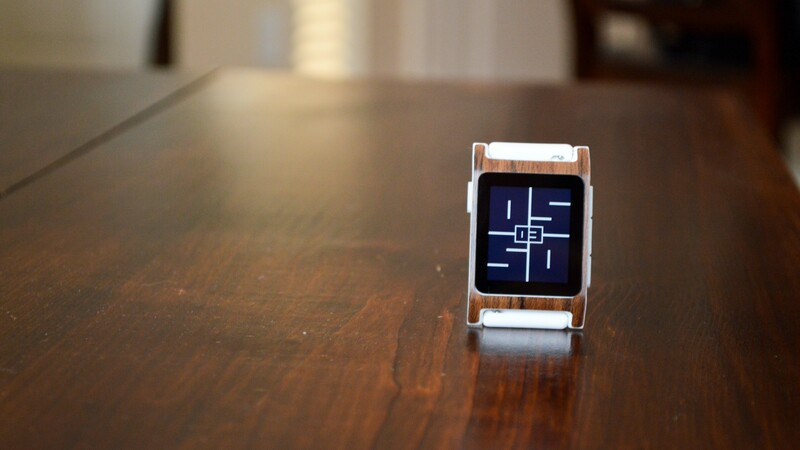 Kiezel watchfaces are always top-notch in design and functionality. 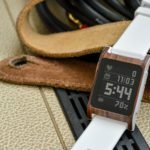 Like TTMM88, this is also a paid watchface (and like TTMM, we suggest spending the extra few bucks to have access to Kiezel’s 20+ watchfaces). Essential is a simple and effective watchface that you can customize to show what information you’d like at a glance. It doesn’t show as much as some of the others featured, but it makes up for that with sleek aesthetics. 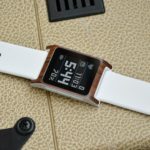 There are a couple of other watchfaces that we couldn’t help but mention. 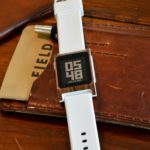 We have featured them before in the Best Watchfaces for Pebble Time Round series, and we think they look just as good on the Pebble 2. 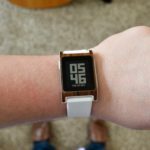 Lines (Enhanced) and Morphy Brown are two watchfaces that we just can’t seem to get away from. 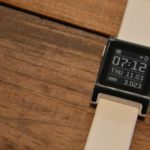 The bold square designs compliment the look and feel of the Pebble 2 perfectly and they look great on a black and white display. 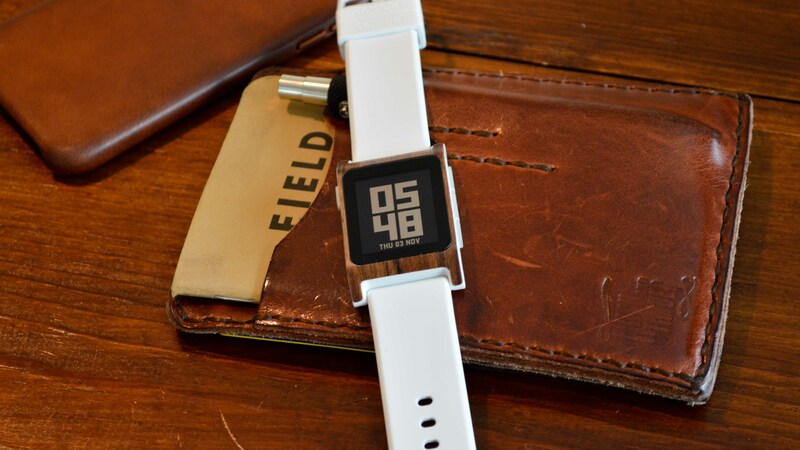 If you’re a Pebble 2 owner, we definitely think you should check these out! 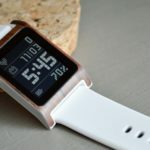 The skins on the Pebble 2 are from our friends over at GadgetWraps – stay tuned for our full review of GadgetWraps skins and straps for Pebble 2! 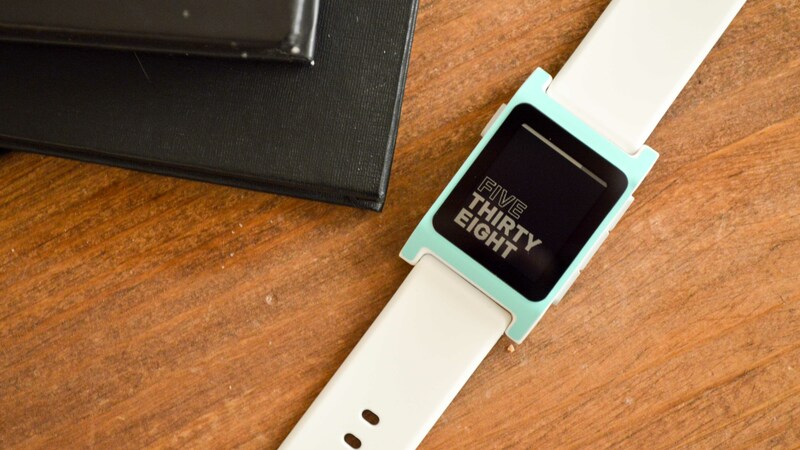 We hope you enjoyed this selection of watchfaces for the Pebble 2. 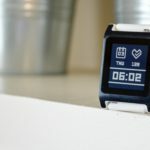 Most of the watchfaces featured focus on packing a lot of information onto the screen to consume with a quick look. 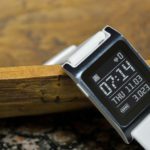 It has been a lot of fun checking out the App Store daily to see what new watchfaces developers are uploading, and with the upcoming release of the Pebble Time 2 we are sure to see even more. 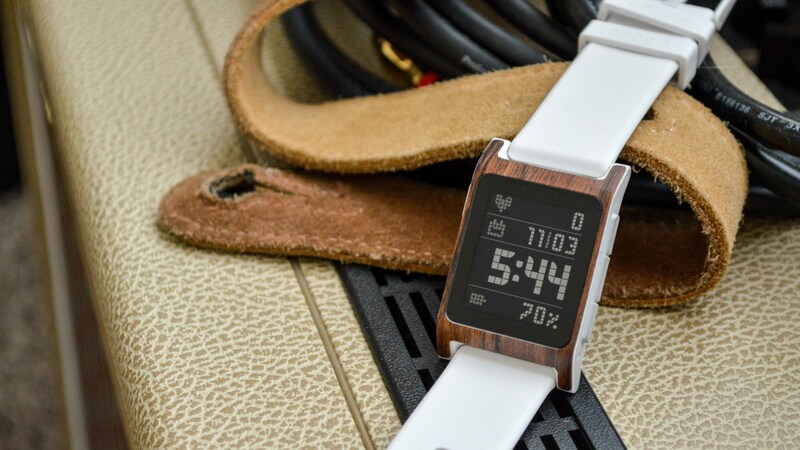 Let us know what your favorite watchface is for the Pebble 2 in the comments down below! Awesome selection Greg. I’ve settled on Text Time Bold :-). One question: in the photo of the Morphy Brown face, where did you get the awesome leather sleeve/wallet holding the Field Notes? It looks so good! Hey! Thanks for the question. The wallet is from a company called Hitch and Timber. I found it on Etsy. I got the one with the extra card slots on the back.